The United Fund of Corry is a local charity that is celebrating 70 years of service to the community, residents, and other non-profit groups. They are currently seeking donations for the upcoming year. 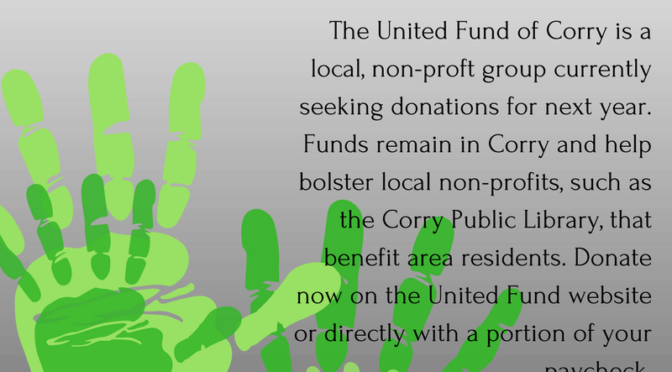 The Corry Public Library is one such organization that benefits from the United Fund. To donate, you may donate directly at their website: http://www.unitedfundofcorry.com/donate.html or through a portion of your paycheck. 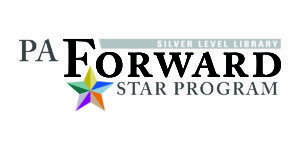 To obtain this paperwork you may speak to your employer or call the United Fund board. Give some gently used books a new home. Large Selection for All Ages. More information available under library events.